Clock in right at your computer. 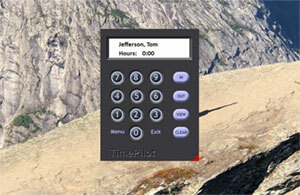 TimePilot PC is our completely software-based time and attendance system. 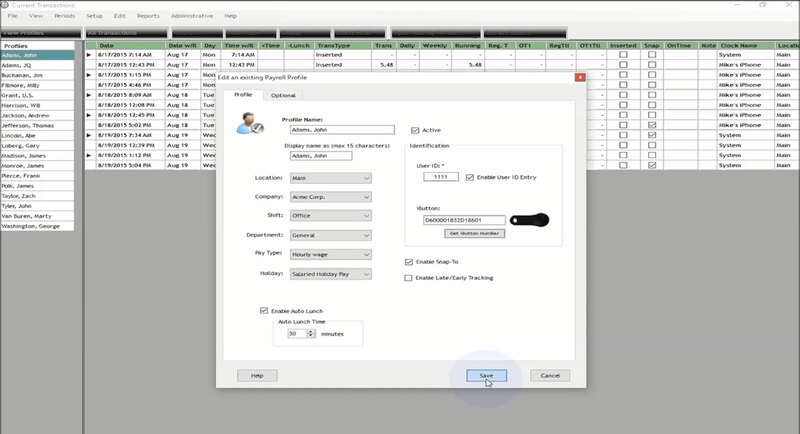 Employees use their mouse to clock in and out by clicking the image of the timeclock on the computer screen. The product comes in two versions: one with a single-seat license and another with five seat licenses. 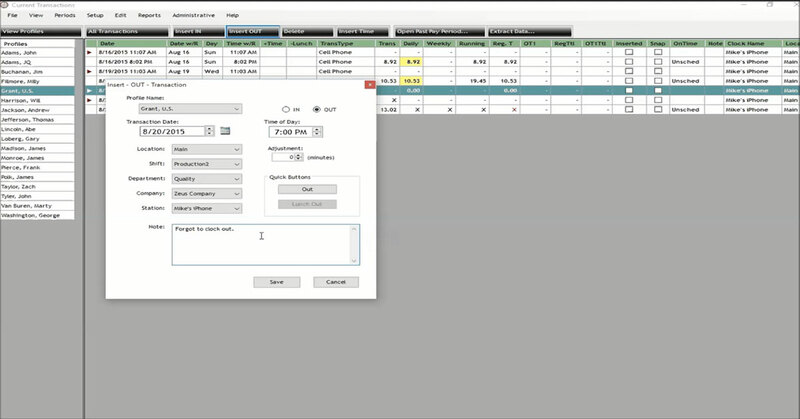 A single-seat license means that the timeclock software can be installed on only one computer; five seat licenses means the timeclock software can be installed on up to five computers. Additional licenses—allowing the software to be installed on more computers—are available and inexpensive. Install the software on a single PC (with the single-seat version) and have up to 2,000 employees clock in there. Install the software on up to five networked PCs in your office (with the five-seat version) and have people clock in and out at their desks. Want to install it on more PCs? Extra seat licenses are inexpensive. Need greater security? 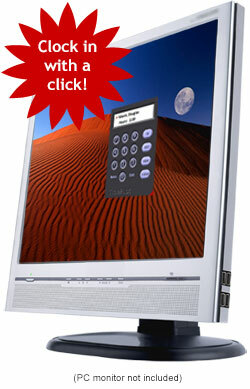 With the optional iButton Receptor, you can have employees clock in with iButtons to help stop "buddy punching." 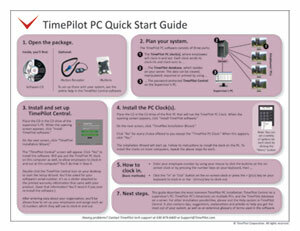 TimePilot PC software: This is the software you install on the computers where employees will clock in and out. TimePilot Professional or TimePilot Enterprise: This password-protected software is used by supervisors to view and correct employee clock-ins and clock-outs, as well as to prepare the data for payroll. 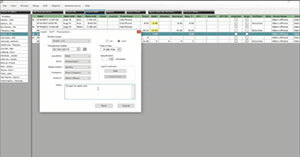 In it they can modify the data, generate reports and export the data in a format that can be read by a spreadsheet program like Microsoft Excel or by many of the leading payroll services and software packages. TimePilot PC comes with TimePilot Professional Edition software; if you wish, you can upgrade to TimePilot Enterprise Edition software for an additional $149. To learn more about the software, click here. If you have a network, you can combine TimePilot PC with TimePilot Vetro, TimePilot Tap+ and TimePilot Extreme Blue to create a single time and attendance system that fits your business's needs perfectly. 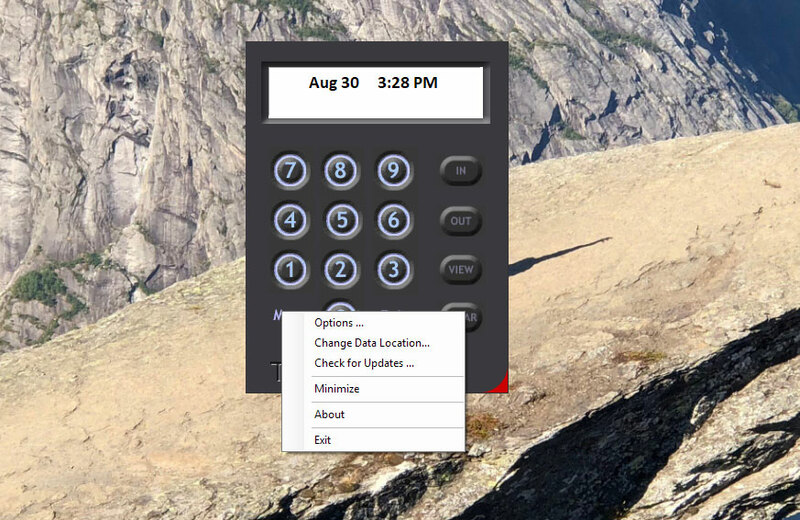 You can purchase your TimePilot PC system by clicking the yellow buttons at the right. TimePilot PC's on-screen clock resembles an actual timeclock. Return policy: If you are dissatisfied for any reason during the first 30 days after you purchase a TimePilot hardware product (TimePilot Tap+, Extreme Blue and Vetro, iButtons, iButton Receptor, etc.) from TimePilot Corporation, we will refund the purchase price if you return the product to us, freight prepaid and insured for the value of the product. If you choose this option, we hope that you will take a few minutes to help us understand why. Please be sure to call us for an RMA (Return Merchandise Authorization) number before returning the product. Please note: TimePilot software-only products such as the TimePilot Professional Edition or Enterprise Edition Upgrade and TimePilot PC can be exchanged if the disk is defective, but we cannot offer refunds on software. We can be reached at 630.879.6400 and Support@TimePilot.com. TimePilot software-only products such as TimePilot PC can be exchanged if the disk is defective. We cannot offer refunds on software.